Confession: I dream about snacks. All the time. Is this a curse? 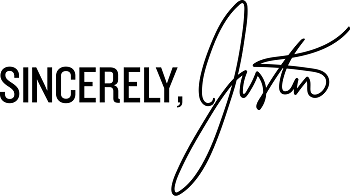 I say no, it’s a gift. Sweet, salty, crunchy or smooth, I like to tell myself that I’ve mastered the art of crafting snacks. But, when it comes to concocting a new recipe, I do have a few requirements. They must be exceptionally easy, at least a little nutritious and 100% delicious. 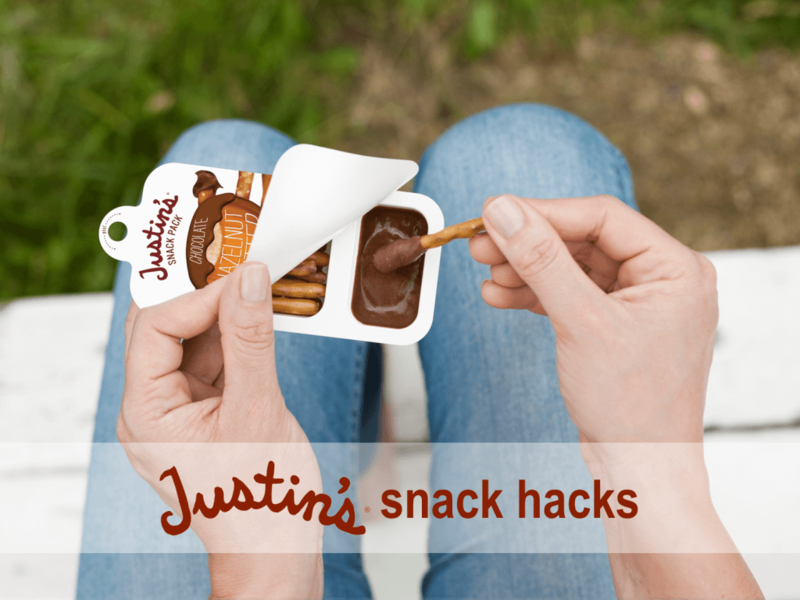 So, I wanted to share 10 of my most awesome snack hacks perfect for after-school noshing with the kids. 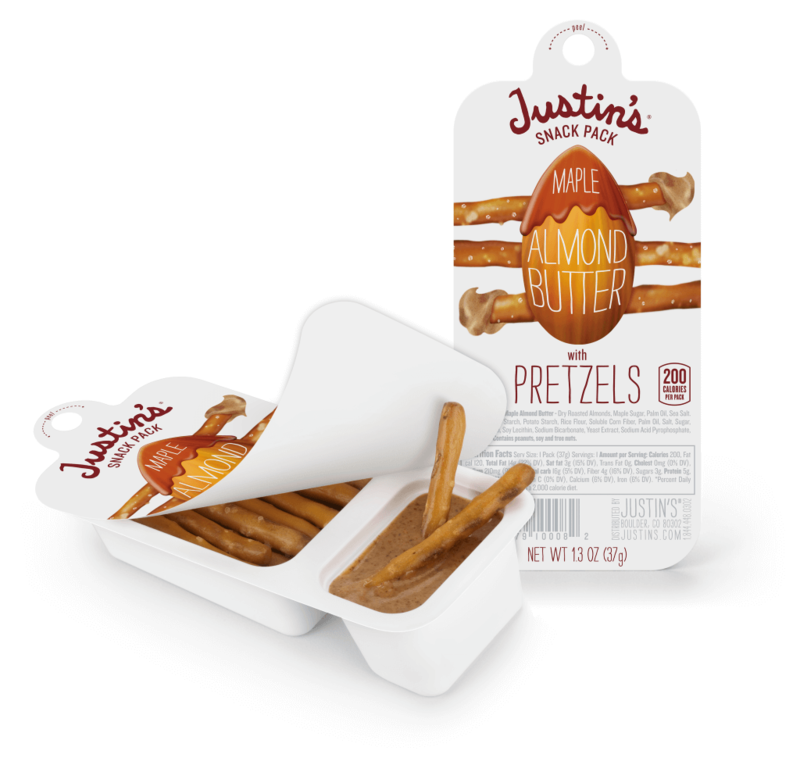 Try them out, and I guarantee you will be dreaming about snacks too. recipe: peel, dip, devour! 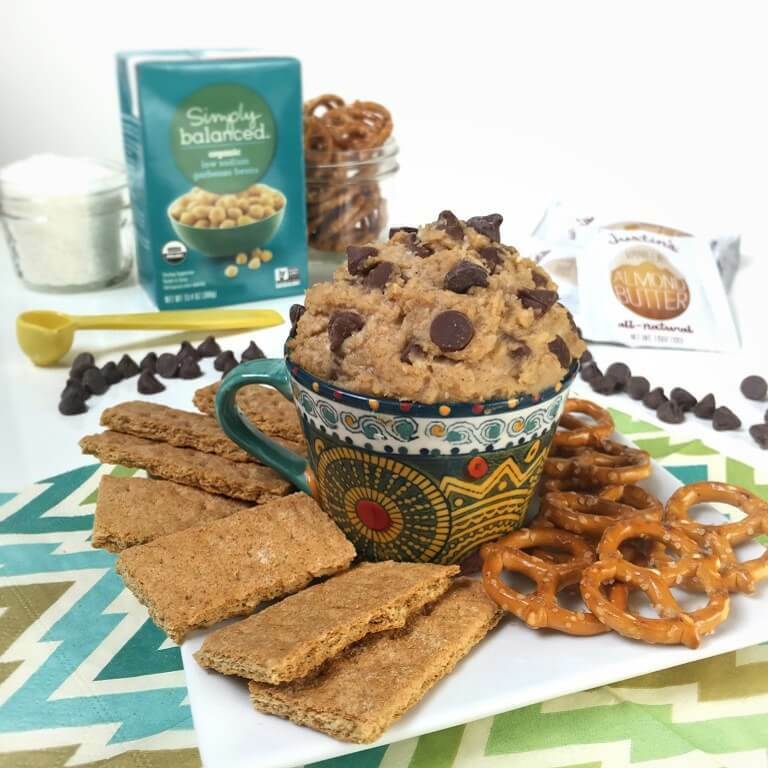 throw one in your lunch box or keep on hand for a delicious after school pick-me-up! 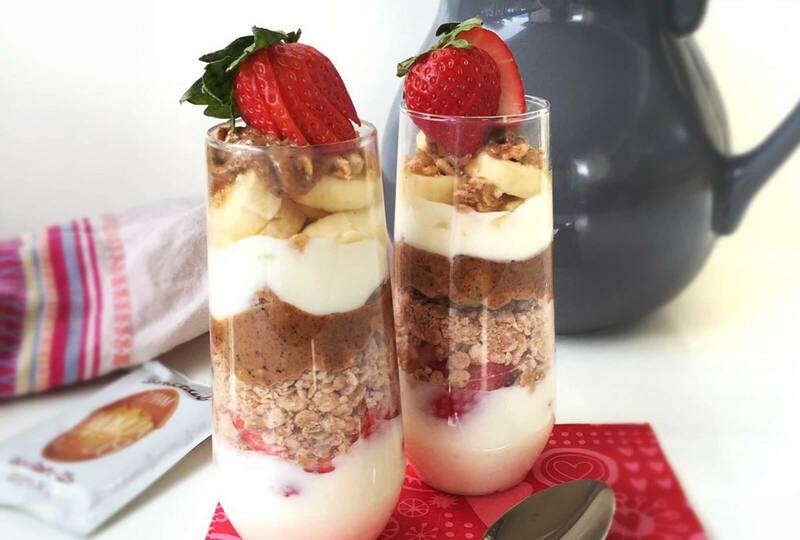 recipe: layer plain greek yogurt, gluten-free granola, berries, bananas and Justin’s® maple almond butter for a delicious snack packed with protein. 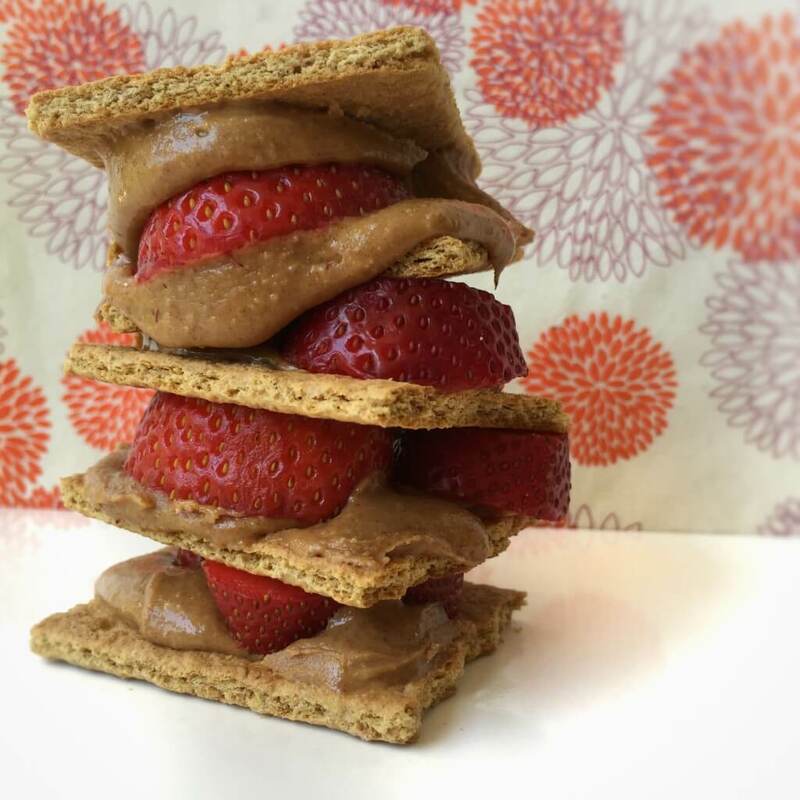 recipe: spread graham crackers with Justin’s® peanut butter and top with sliced strawberries for a fun twist on a pb&j. 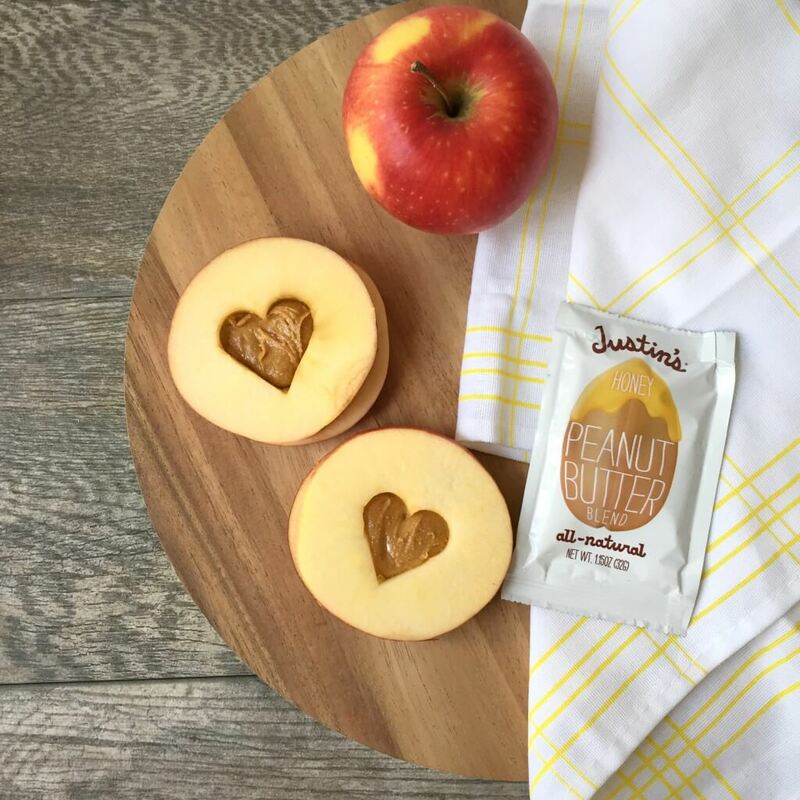 recipe: slice an apple horizontally into circles, remove core with a small cookie cutter and fill with Justin’s® peanut butter. stack and enjoy! 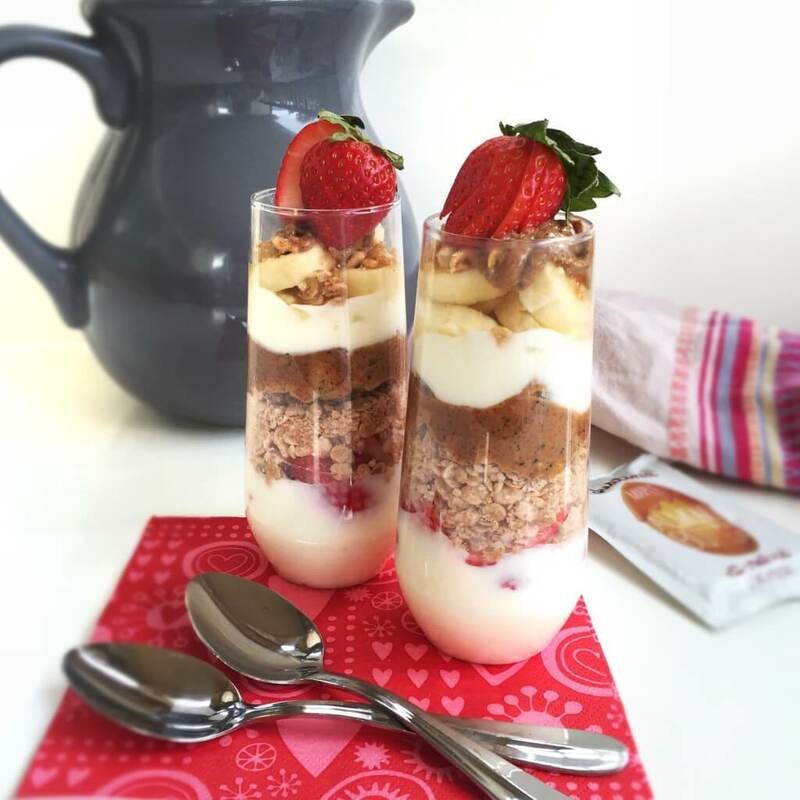 recipe: mash together 2 ripe bananas with 1 cup gluten-free oats. drop tablespoon size balls of dough on a baking sheet and bake @350 for 12-15 minutes. 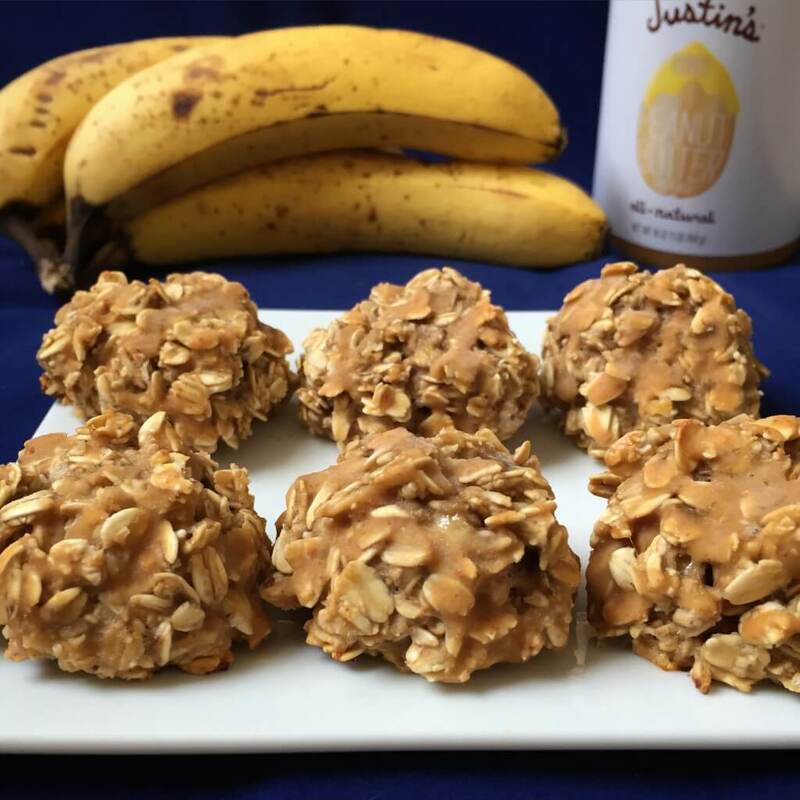 drizzle warm cookies with melted Justin’s® peanut butter. devour. recipe: in the bowl of a food processor, combine all ingredients except chocolate chips. blend until smooth and fully combined. stir in chocolate chips. eat raw or use as a dip for graham crackers, pretzels, apples etc. 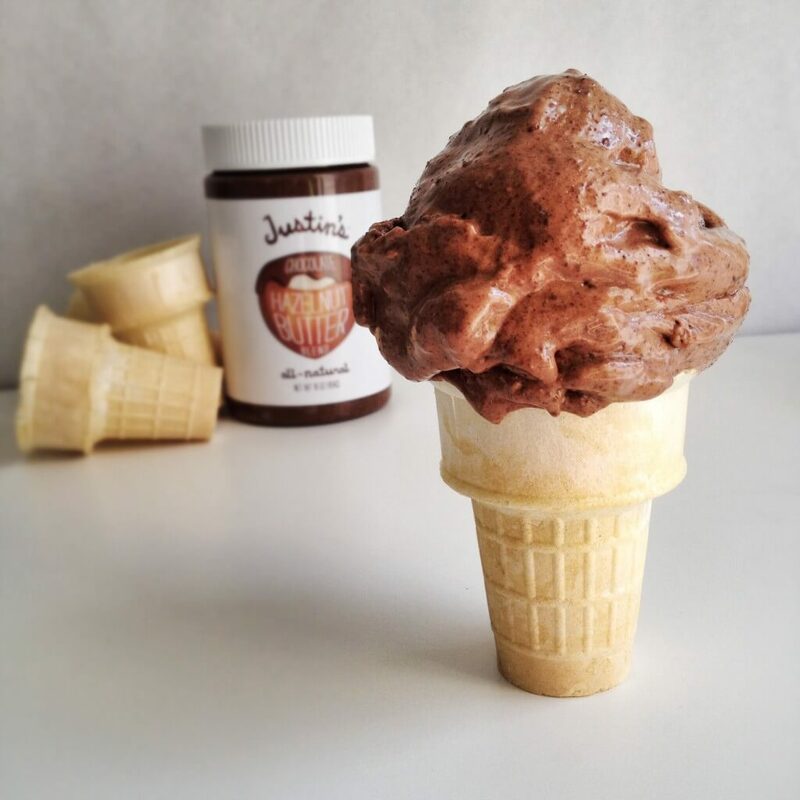 recipe: melt ½ cup Justin’s® chocolate hazelnut butter and 1 tablespoon coconut oil in microwave (about 20 seconds) to soften. 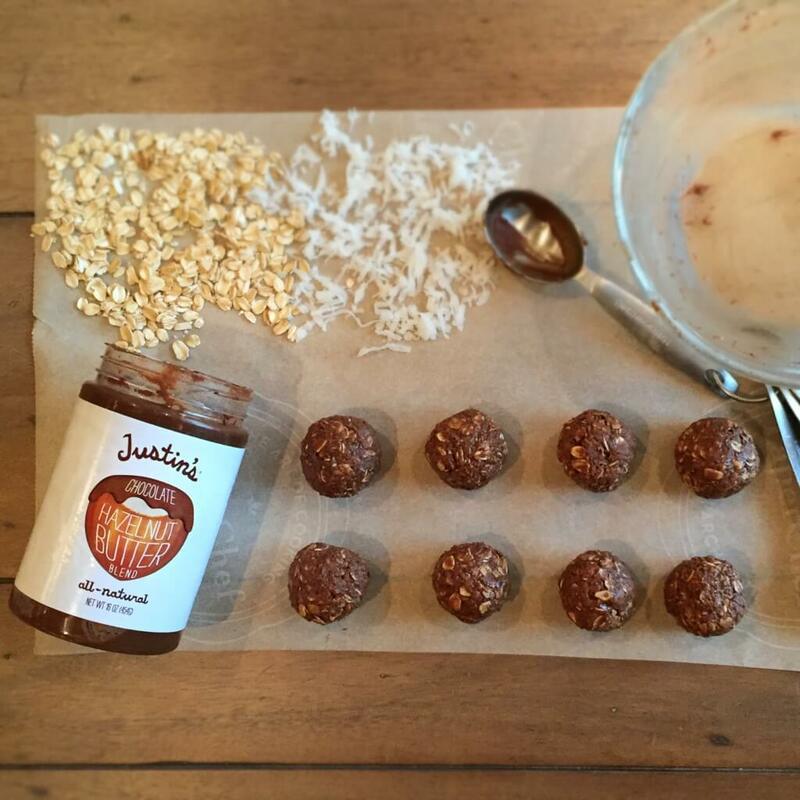 mix in ½ cup gluten free oats, ¼ cup shredded coconut and 1 teaspoon honey. shape into 1 inch balls and refrigerate. 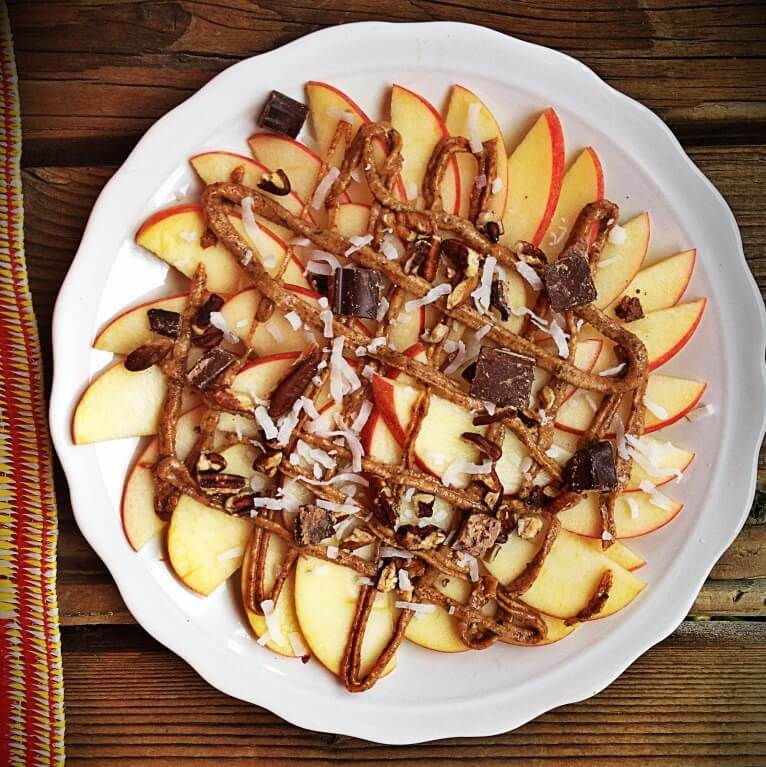 recipe: layer sliced apples with toppings of choice and drizzle with your favorite Justin’s® nut butter. 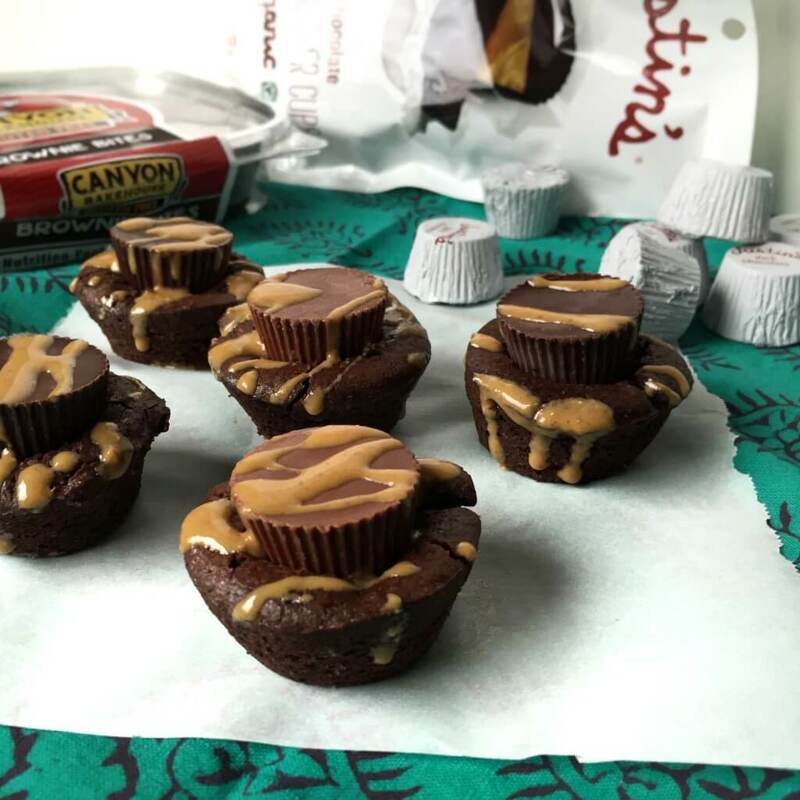 recipe: stuff your favorite brownie bites with Justin’s® mini peanut butter cups and drizzle with extra peanut butter for the cutest little treat to satisfy your sweet tooth.